How to Help A Dog That is Too Aggressive for Food - Petpav - Your Online Magazine for All Things Pet! 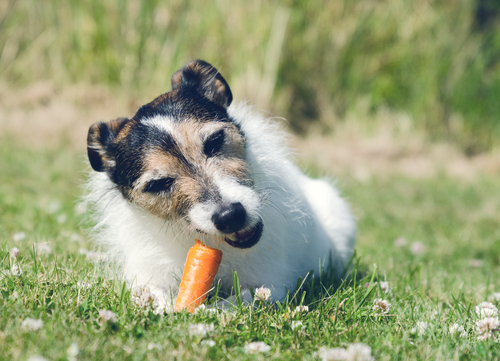 Most dogs are relatively healthy eaters and tend to love all kinds of food. We don’t usually worry about our dogs’ appetites as we sometimes do in cats. 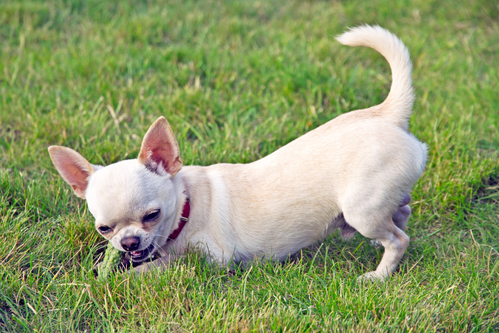 However, sometimes a dog can become too aggressive with his or her food that it becomes problematic. 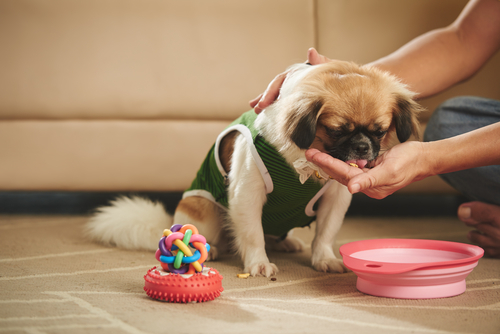 If you have a dog that blocks his food or is aggressive towards you unless you feed him, your pup could be suffering from Canine Possession Aggression (CPA), also known as food or object guarding. How can you tell if your dog is too aggressive for food? If you have a dog that growls at you for his or her meals, treats, chew toys, or even shoes or towels, your dog is unusually aggressive for food. If you take away any of the above items as punishment when he growls, it will only further convince your dog that his suspicions about you were right all along. And then he will growl again. So what’s a dog owner to do? 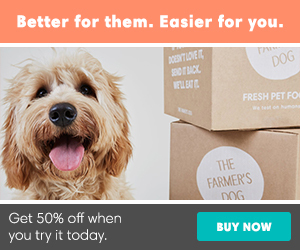 Regain your dog’s trust that you will provide his food to him and are his friend, not enemy. However, if your dog is dangerously aggressive, you should consult a dog trainer and not try this on your own. 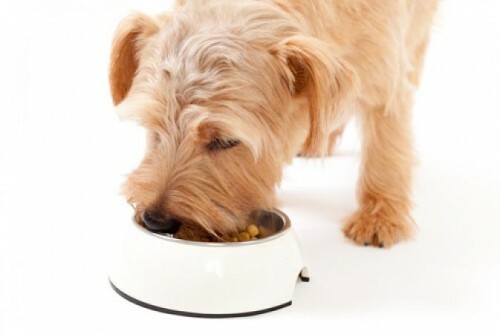 Try taking away your dog’s food bowl entirely for a week or two, just so he is not free-feeding. Give your dog a small portion of dry food each meal. (Be very careful, but this will help gain your dog’s trust) If you feed your dog wet food, give your pup a very small amount while you watch your dog and do this a couple times a day. Next you should bring back the food bowl or plate, but it should remain empty until you put some dry food in it (or a small amount of wet food). After the meal has been eaten, drop small handfuls into your dog’s bowl at intervals of one to three minutes until the whole meal has been consumed. By now your dog should be practically begging you to approach his bowl and understand that you control giving him the good. Next, put a semi-filled bowl on the floor and, as you pass by, drop in a few pieces of kibble and/or wet food on a plate. On your next pass by the bowl, add the remaining kibble. Each of these steps should be taken for one to two weeks at each meal before going to the next step. While you are dealing with a food guarding problem, your dog should wear a leash at mealtimes as a safety measure, but don’t use it to control your dog unless you feel as if you might get hurt. With time, practice, and positive reinforcement, you can get this problem under control.